Müller-Wohlfahrt remains an inconic and influential figure within the Bayern corridors of power. Pep Guardiola paces in front of the Bayern medical team during the 3-1 defeat to Porto. 1. Dr Feelgood slams the door on his Bayern practice and opens up a can of worms. While the resignation of a long-serving doctor would be small potatoes at most clubs, it certainly is a big deal at Bayern Munich, where Hans-Wilhem Müller-Wohlfahrt resigned last week after almost four decades years in the post. Convinced that coach Pep Guardiola was making him the scapegoat for Bayern Munich’s shock 3-1 Champions League defeat in Porto – a game in which the Bavarians had to do without the injured Arjen Robben, Franck Ribery, Bastian Schweinsteiger and David Alaba – Müller-Wohlfahrt and his assistants headed straight for the exit and while some think Pep has triumphed in this particular turf war, the battle, in truth, is far from won. The good doctor, a world-renowned orthopaedist who also works with the German national team, is an absolute icon at Bayern and his many friends in the corridors of power and dressing room will not have taken too kindly to developments. A clear case of never the twain. Guardiola taking issue with injury recovery rates and insistent that the Müller-Wohlfahrt should be based at the training ground and not in his city centre surgery. MW is most unhappy to have his competence questioned. Needing just four days to finalise a deal for ex-Mainz tactical obsessive Thomas Tuchel to take over as Dortmund head coach from soon-to-depart Jurgen Klopp, it looks on the face of it that the Ruhr club’s directorate leapt out of the blocks like an Olympic to sprinter to find a successor. 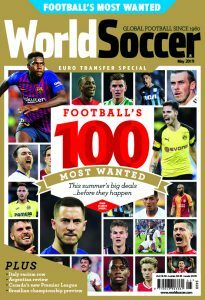 But the truth is that the spadework to bring in the new boss was done some time ago.When Klopp was being courted by Premier League outfits in the spring of 2014, the Dortmunder already had identified Tuchel as the man they most wanted to fill the void and director of sport Michael Zorc was rumoured to have met him for exploratory talks. Currently on a 12-month sabbatical after five years of over-achieving at Mainz, Tuchel recently had been negotiating a contract with struggling Hamburg, but swiftly pulled the plug on receiving Dortmund’s once-in-a-lifetime offer. Can newly-appointed Hamburg coach Bruno Labbadia, the fourth hot-seat occupant at the club this season, work a last-ditch anti-relegation miracle ? Only if hell freezes over, it seems. Sunday’s 1-0 defeat at Werder Bremen in the 102nd Great North derby was Hamburg’s ninth game without a win and though his rock bottom side fought hard enough – hanging in there until Bremen striker Franco Di Santo converted a late penalty – even the resolutely upbeat Labbadia would have to privately admit that this is a team in name alone, too approximate in their play and discipline, too predictable and too prone to individual mistakes. Back for a second bite of the cherry at HSV after leading them in 2009-10, Labbadia was sacked late that season for ‘only’ achieving seventh-place. What beleaguered club chairman Dietmar Beiersdorfer, would give for that now. 4. Hannover finally lose patience with Tayfun. 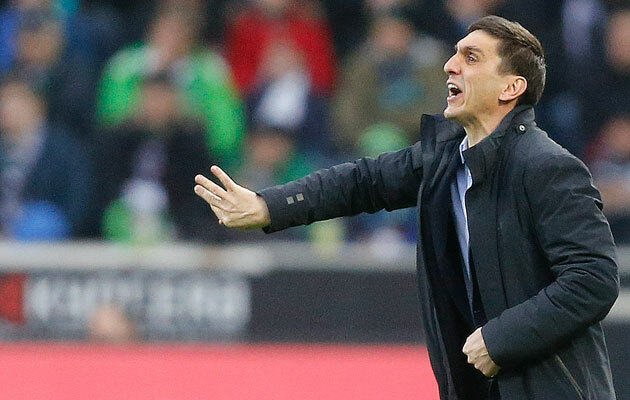 With only 450 minutes left in the season, no win in the last 13 games and just five points banked since the turn of the year, Hannover president Martin Kind at long last has recognised the enormity of his team’s predicament and fired out-of-his-depth coach, Tayfun Korkut. 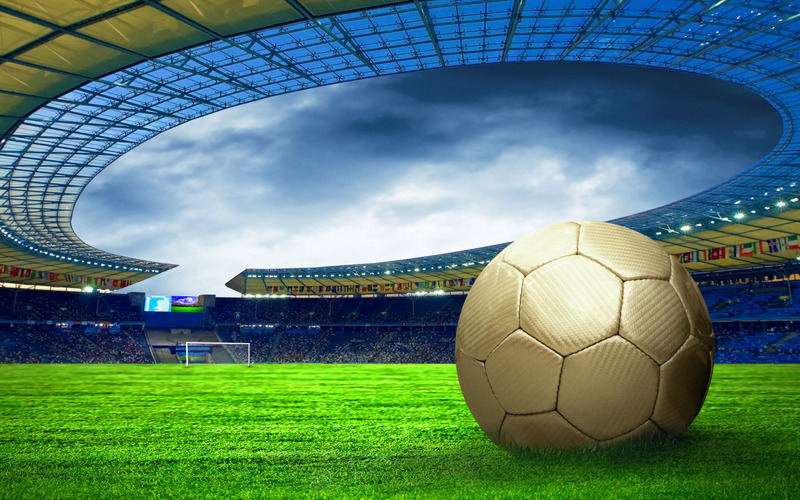 Saturday’s 4-0 drubbing at Champions League-chasing Leverkusen was the straw which broke the camel’s back and whoever does come in as ‘fireman’ – perhaps ex-Bochum boss Peter Neururer or Camerooon selector Volker Finke – is going to require more than a few buckets of water. 5. Less fair-play and more fouls for Paderborn. Aime Jacquet, France’s World Cup-winning coach of 1998, once famously told attacking midfielder Robert Pires that he had to ” put some muscle in his game” and Paderborn boss, Andre Breitenreiter appears to think the same of his charges, attributing their plight at the wrong end of the table to an excess of Corinthian values. ” Sometimes we’re too nice, ” declared Breitenreiter after Saturday’s 3-0 loss at Dortmund.